When Galactic Hotels finds itself prevented from annexing a world filled with rare animals just begging to be killed by wealthy hunters, they need morally reprehensible individuals to solve their problems. Mordid the Traveling Tyrant and his mercenaries are up to the task, but can Mordid survive the twisting schemes of his employer, command staff, and even himself? With a beautiful woman, alien spiders, and raging fanatics all after his blood – what’s a Tyrant to do? Science-fiction, action and dark humor in the violent universe of Mordid the Traveling Tyrant. After the fiery events on Paradisa, Mordid the Traveling Tyrant and his ruthless band of mercenaries decide to lie low in the lawless region of space known as the Upper Arm. There, Mordid finds work on the planet of Pristine. 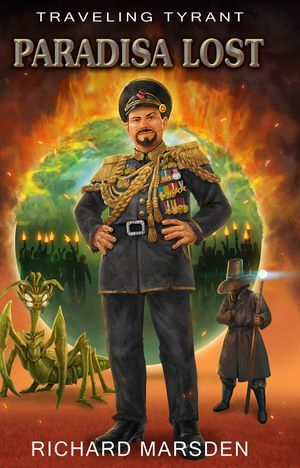 Zaltrek, the planet's dictator, is losing his grip on the world, and Mordid promises to help-- for a price. Unfortunately, for the Traveling Tyrant a woman gets involved, his own command staff plot his demise, and his employer is having second thoughts about their arrangement. 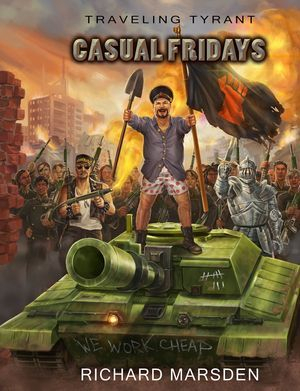 Worse, the morale of his men is flagging, and even an order to have Casual Fridays isn't lifting their spirits. Between Mordid's murderous friends, enraged foes, and his duty to the shadowy investors-- what's a Tyrant to do? After propping up a planetary dictator on a backwater planet, Mordid is ready to get back into the game of high-priced mercenary work. 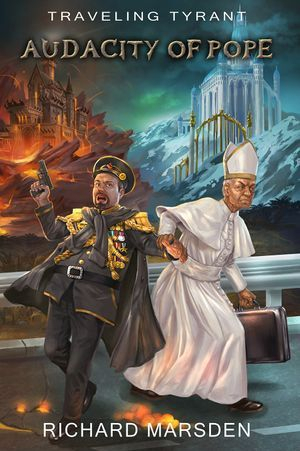 His task seems simple enough, to deliver the Pope to Earth. However, Earth has its own plans regarding the galaxy, there’s a war to be stopped, and Mordid’s command staff are planning one another’s murder. Between lucrative wars, fabulous wealth, and a grander war on the horizon - what’s a Tyrant to do? 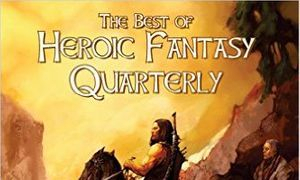 Richard Marsden's story, the Man of Moldania, is the lead tale in this anthology of Heroic Fantasy Quarterly's best tales. Golorus is an elderly and crafty dragonslayer, alas, he is the last of his kind and forced to the edges of civilization to ply his trade one last time. He has come to a run down town in the Carpathian mountains in search of the last dragon. 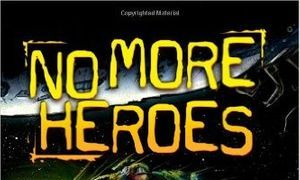 Richard Marsden's story, B-Team, features in an anthology of a world where the super-villains are the main characters. B-Team delves into a pair of villains who can't quite cut it as 'super', but find themselves encountering super-sized problems. From race, to poverty, to a walled-up Canada, the B-Team is ready to make it to the E-leagues, E is for Evil!